For years, I’ve been talking about how important personal branding is. Your personal brand is your reputation. And your reputation in perpetuity is the foundation of your career. People don’t understand this. Playing the long game and building your reputation always plays out. But the issue is, people see others getting ahead in the short term at the expense of their long term personal brand. And so, they get tricked. Instead of being patient, they go for the quick sales. They keep trying to convert customers on the first interaction. They try to extract money, instead of creating an experience. Brand is about how someone feels in the moment when they interact with you or your business. You all have emotions you feel in reaction to names like “Coca-cola”, “IBM”, or “McDonald’s.” Whether good or bad, you have a reaction. When you hear my name, you probably get a feeling too (which I hope is positive). 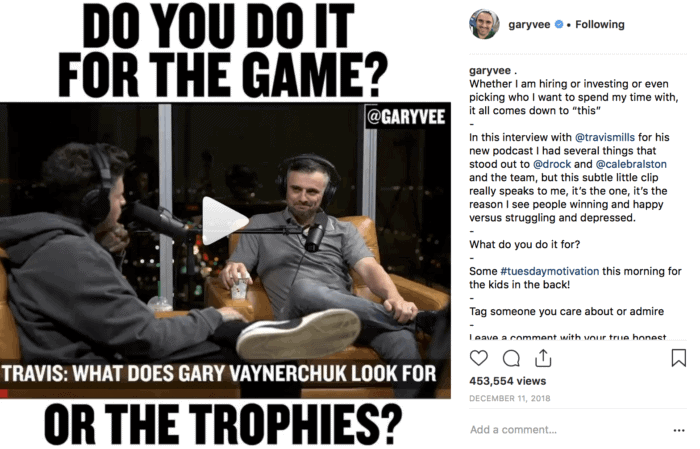 For example, if you had to put into words — I hope you’d say “Gary Vaynerchuk, the guy who gave more than asked”, or something along those lines. I want you to think of me as someone who gave massive amounts of value. The best companies in the world don’t sell. They brand. For example, Apple never tries to “convert” you into buying an iPhone. Instead they paint a picture of the “iPhone experience.” They focus on branding. Not saying you should never sell. But personal branding is a disproportionately valuable factor that most people just don’t focus on. 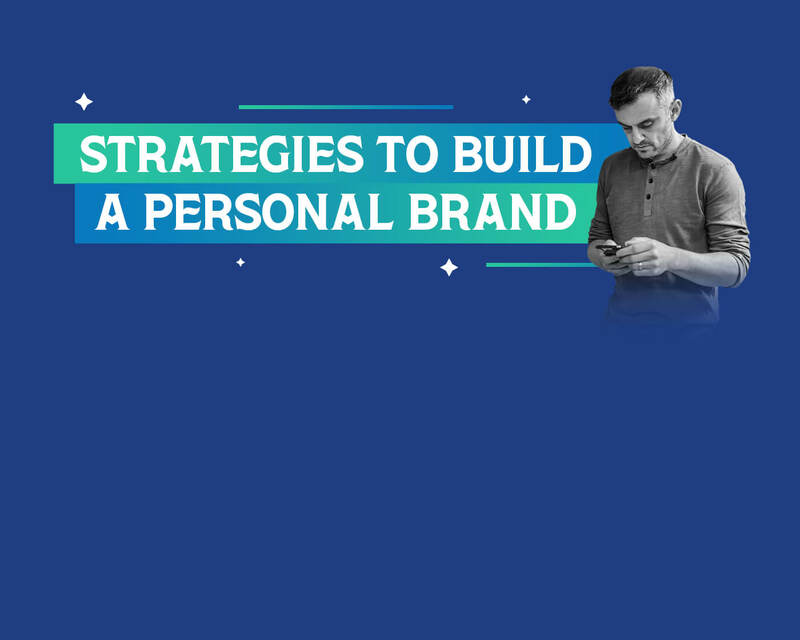 In this article, I’ve put together a mashup of strategies, tips, and advice on building a personal brand I’ve talked about over the years. In a world with all these social networks, everything is transparent. Everything you do is captured — with YouTube, Facebook, Instagram, Snapchat, Twitter, etc. Every part of your movement is on record. Anything you do will be known. You can’t have “multiple personalities” anymore for business, family, and everything else. You are who you are now, in this world. I talked about this first back in 2008, and it’s even more true today. In an environment like this, people who have good intent are going to win. And people who come from a bad place are going to lose. The internet is going to expose all of us, so think long and hard about what your intentions are. There is no reason to do anything other than act like a media company in today’s digital age. People haven’t fully grasped the “attention shift” we’re living through. And it makes sense. They just didn’t have the kind of opportunities we have. It was expensive to create a commercial. It was expensive to put up a billboard. It was expensive to run ads on radio. And it still is. But now, you can produce as much content as you want across social platforms. This has paved the way for a new type of marketing. Instead of selling constantly like businesses used to, you can create helpful, educational, entertaining content and use it to get sales long term. And the amazing thing is, the content you create doesn’t even have to be related to what you’re selling. The answer I gave her was a bit rogue. I pitched her on starting a website about golf. Totally unrelated to legal services. But I knew it’d change her business if, say, in every 7th post, she promoted her actual business while using golf as the “gateway drug” to attract an audience. When people ask me about my mistakes and regrets, I struggle to come up with good answers. It’s not that I don’t make mistakes, I’m just incapable of remembering and dwelling on them. Not spending enough money on Google AdWords. I built my dad’s liquor business from three to $60 million on the back of Google AdWords. I bought keywords like “wine” for pennies on the dollar when they were underpriced. But if I spent more, I would’ve grown it to hundreds of millions. Right now, Facebook and Instagram are the underpriced platforms. And it’s amazing to me how many people aren’t taking advantage of the opportunity. Find a way to promote your content through ads. If you don’t have any money to invest, flip something on eBay, take that money, and run ads with it. The second way to get attention is hacking culture. If you can understand what’s truly relevant in culture, you can create unbelievable opportunity for yourself. Culture hacking deserves its own blog post, but the best advice I can give here is to take advantage of influencers. Message anyone who’s got 500-1000+ followers. See how you can add value. Hit them up on Instagram DM. Like if you’ve got a restaurant, you can offer them a personalized coupon for free food. If you’ve got a plumbing service, give them a free evaluation. Message them, connect, add value, and in return, they might give some awareness to your brand. Being a personal brand for the sake of being a personal brand is usually the quickest way to not be a personal brand. The first step to building brand is to be self aware about what you have to add to the conversation. You have to understand what you do and the things you want to talk about,. I’ve talked a LOT for the past decade. But within a very narrow area. I haven’t talked about healthcare or geopolitical issues. I haven’t added my two cents to every pop culture situation. I talk about the things I know — communication in a modern world. If you’re not an expert yet, you can talk about your process of becoming an expert. Document the journey. If you want to be heard on social media, you have to put out a LOT of content. You should be doing a long form vlog or podcast at least once a week. You should be posting on Instagram and Snapchat at least 6-7 times a day. Now, that sounds like a lot. And it is. But here’s one great piece of advice that’ll help: Document. Don’t create. Think of it like Keeping up with the Kardashians vs Star Wars and Friends. One is more practical to create, while the other takes some creativity in coming up with stories. The first is simple for most people (including myself). The second is harder. You can go through the process of fabricating your life on the internet to make yourself seem like an “expert.” Or you could just be yourself. One of the biggest mistakes that people make when building their personal brand is trying to “oversell” themselves. They front. They try to act bigger than they actually are. The reality is, it’s much more valuable to talk about the process than the advice you think you should be giving them. Ultimately, the game is simple, my friends. Know what you’re talking about, put out content around it, and run ads. Watch what happens to your personal brand / business. The reason so many influencers get commoditized is because they only show one side of their personality. For example, if you’re an attractive fitness model on Instagram, brands that are looking to sponsor you will put you in the same “bucket” as all the other attractive fitness models on Instagram. A lot of influencers are scared to post different sides of their personality because those posts won’t get as much engagement. If their followers are following them for one thing (i.e. fitness), they won’t always like it when they post about something like food, travel or business. But it’s something that will change the course of your personal brand. Even if you’re not an “influencer” looking to get brand sponsorship, showing different aspects of your personality will get people more invested in your journey. It shows your audience who you are. Even if a number of people stop following you or stop engaging, 30% of your audience will start looking up to you in a different way. That’s the key to positioning your brand in a way that separates you from everybody else in your space. My entire company is a “mistake” on paper. The entire VaynerX machine — PureWow, One37pm, all of it — is not smart for me to do. It doesn’t help my short term finances. 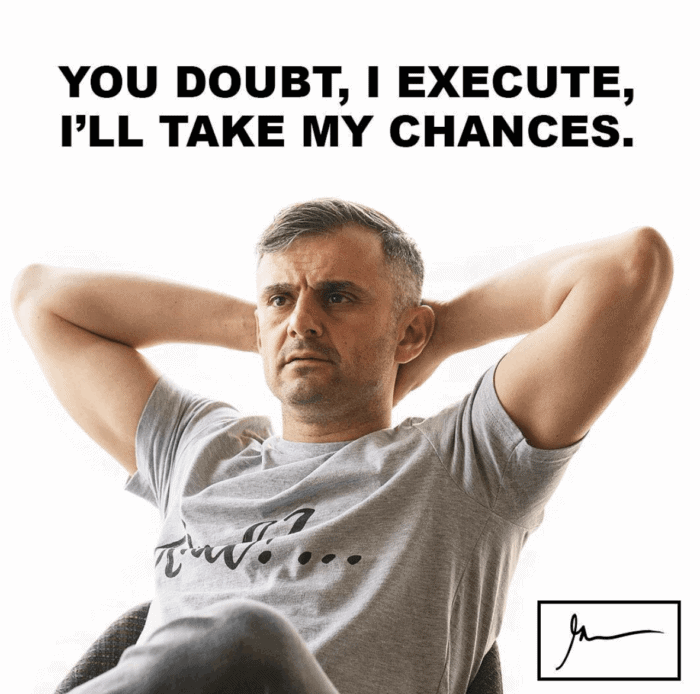 As an entrepreneur, I’m in the prime of my career right now. I’m in my 40s. 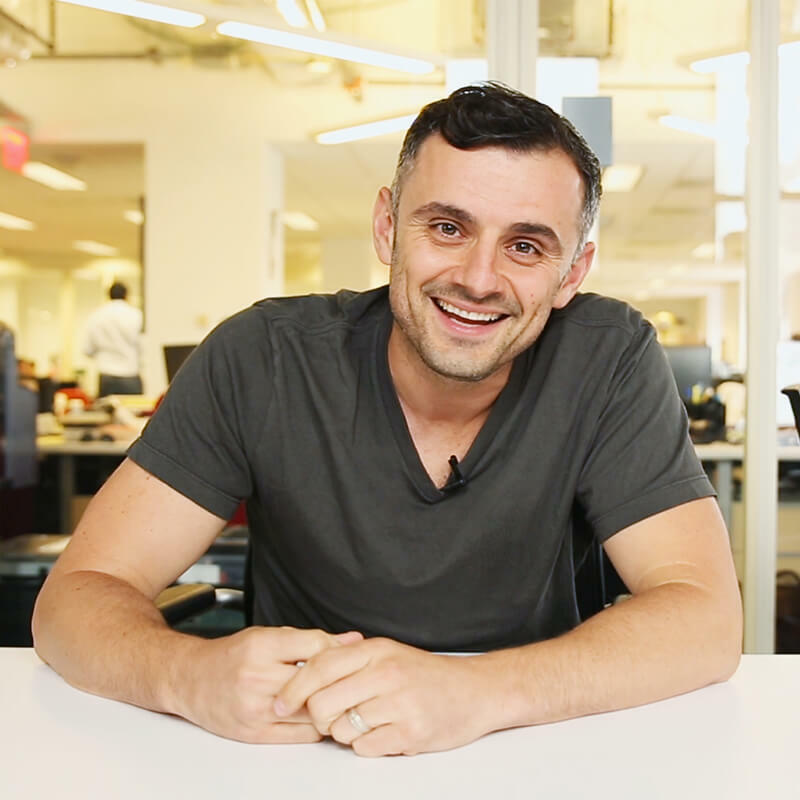 I worked hard to set a great foundation for myself in my 20s by building my dad’s liquor store to a $60 million revenue business, and I grew VaynerMedia to $150 million+ in revenue in a short period of time also. It’s taken an enormous amount of discipline for me to spend my late 30s and early 40s building a “framework” for the rest of my life, especially since we’ve had a great economy for the last decade. It would’ve been a lot “smarter” for me to monetize my information, sell courses, start a mastermind, and be more aggressive with monetizing my audience. But I know that prioritizing my brand over short term sales is something that will bring me more respect, admiration, and wealth in the long term. It’s what I encourage all of you to do. 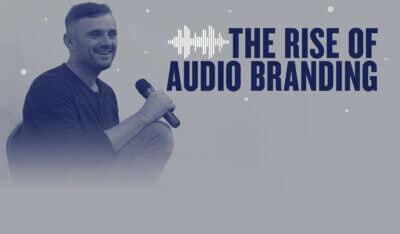 While you’re running Facebook ads to convert sales, you need to equally spend time on branding activities that bring you zero ROI in the short term — things like doing podcast interviews on other people’s shows, hosting events, and more. 8. Be your 100% authentic, true self. Don’t “water it down” in any shape or form. In my 20s, I grew a YouTube show around my family’s liquor business called Wine Library TV. On that show, I talked to people about wine. I would describe wines in ways that nobody else did at the time. I said certain wines tasted like Whatchamacallit bars, or that a particular wine tasted like someone opened a racquetball case. None of the wine “thought leaders” at the time had described wine in this way. Describing wines the way I did lowered the amount of “reach” I had with Wine Library TV. It wasn’t something that the Food Network or other TV shows were receptive to in the beginning. I still leave money on the table to this day because I care about authenticity over short term dollars. The fact that I curse so much in so many of my videos limits the number of speaking gigs I can get. But I’m from New Jersey, cursing is just part of how I talk — so I refuse to water it down. The truth is, people who are “fake” will never last. It’s like hip hop artists who fizzle out after having one or two big hits. It’s like entrepreneurs who call themselves CEOs and look the part but don’t actually know how to run a business. The best strategy for building a personal brand is to be 100% “you”, without watering down your personality in any way. 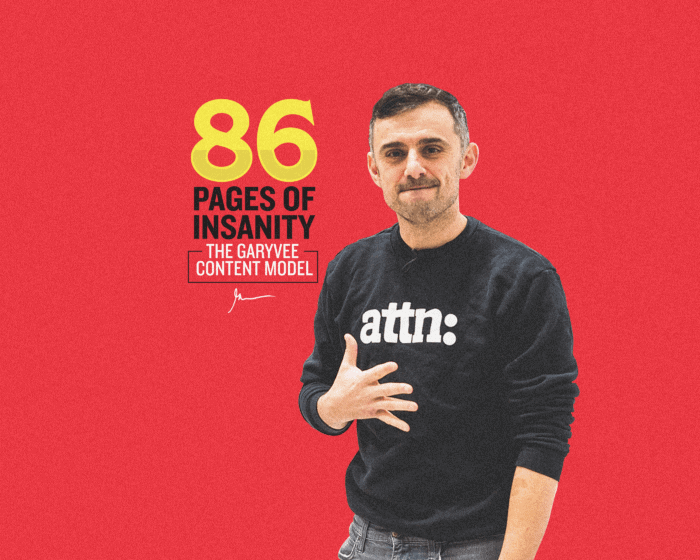 I put out a massive 86-page deck talking about how I create and distribute content around my personal brand. “Pillar content” refers to the long-form audio or video show that you use to derive all other content. It could be a vlog, a talk, a podcast interview, or any other long-form piece that you can turn into more audio/video/written content. 5) Keynotes, interviews, and fireside chats. I’m a big fan of “documenting” your life over “creating” new content. A big reason why so many people struggle in building their personal brand is that they don’t have time. They don’t have time to sit down and write, record a podcast, or prepare and film a video. But if you just document your thoughts or your journey, you don’t have to spend a ton of time on your content. And since “quality” is subjective, many of you would still get people interested in what you have to say. 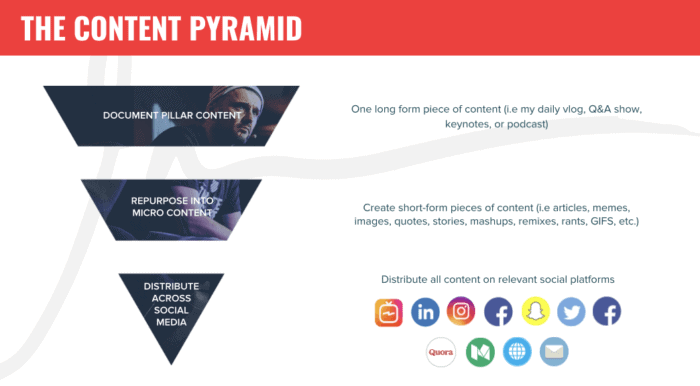 Once you establish your pillar content, you can take pieces of that content to repurpose it. You can take an video clip and chop it up into “micro-clips” for Instagram. You could take powerful quotes from that clip and create pictures. You could transcribe the audio or video and publish it as a blog post. For example, I did a video interview in 2018 on Travis Mills’ show. From that video interview, I put out a “micro” on Instagram from a clip I was particularly passionate about. I would also take memorable quotes and turn them into pictures, and my writer would take clips of things I said and use them in articles. But don’t get it twisted: this isn’t something you need a large team to do. Years before I ever hired a videographer, I was filming myself and creating content around my personal brand — whether it was through Wine Library TV or just handheld selfie videos. There’s unbelievable opportunity right now to build your brand using social media, and it will go away. 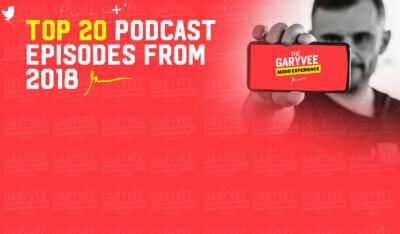 If you got value from this, hit me up on Twitter @GaryVee and let me know what you thought!